A huge number of people every year immigrate to different counties from Hyderabad. With the upsurge of education standards, IT industry and infrastructure, lots of young, skilled and talented individuals emerging every year in the city of Hyderabad, which look to find the best career opportunities abroad. Which is the right country to move to from Hyderabad? Which county you can relate to as a resident from Hyderabad? Keeping in mind the cultural diversity and secular identity of Hyderabad city, the country that suits you the best is Canada. 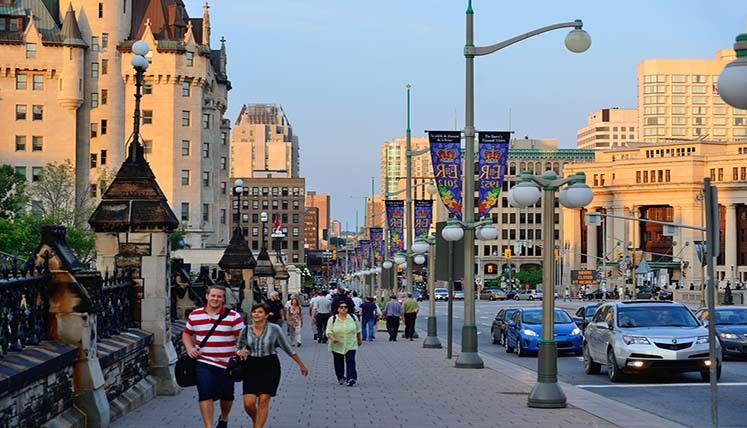 Like Hyderabad city, Canada is also a place that is home to the people of different race, religion, ethnicity, identity, and communities. If you are a Canada immigration aspirant from Hyderabad, you would love to make lots of contacts here, which is always good if you are trying to settle and integrate in a complete new society and settings. Growing ICT and other key industries in Canada are the perfect platform for the highly skilled and talented immigrants from the city of Hyderabad. As per a report, Canada would require close to 2 lac ICT professionals by 2019. It certainly indicates tremendous scope and opportunities for overseas ICT professionals in Canada. Hence, if you are planning to apply for Canadian visa and move to Canada in next few months, it’s simply a wise and perfect decision on your part. Why it’s the high time to apply for Visas in Canada? At now, there are several popular and key immigration programs are launching for immigration to Canada, i.e. The Saskatchewan Immigrant Nominee program –express entry category is also accepting the fresh application from the applicants. Hence, its another good chance to apply and grab the PR visa for Canada. Both these programs offer many benefits also to the applicants. Contact Visas Avenue to apply in key immigration programs to immigrate to Canada? Hyderabad office of Visas Avenue or can call at contact no. 040-42467777 to talk to the qualified immigration experts and book the free appointment to discuss your Canada immigration plan.You may also send your queries with regards to Canada immigration and visa process to email id info@visasavenue.com. If you want to move Canada from Hyderabad contact Visas Avenue best Canada Immigration Consultant in Hyderabad.